You’re reading novel The Demonic King Chases His Wife: The Rebellious Good-for-Nothing Miss Chapter 660-661 online at LightNovelFree.com. Please use the follow button to get notification about the latest chapter next time when you visit LightNovelFree.com. Use F11 button to read novel in full-screen(PC only). Drop by anytime you want to read free – fast – latest novel. It’s great if you could leave a comment, share your opinion about the new chapters, new novel with others on the internet. We’ll do our best to bring you the finest, latest novel everyday. Enjoy! Su Xi was able to invite Apothecary Leng to come to the residence. Su Zian saw that Su Xi truly had been able to invite Apothecary Leng to come. He gave her a praising look. This daughter was more useful! Su Luo, compared to Su Xi, was just a lump of dung! Apothecary Leng’s expression became slightly stern, he frowned and said: “That is impossible.” Apothecary Leng was still very confident about his methods to treat illnesses, how could it possibly have worsened? Apothecary Leng, in an ice-cold manner, pushed Su Zian away. With a cold expression, he sat in front of the bed and began to take his pulse. Apothecary Leng maintained his icy expression, n.o.body was able to make out anything from observing his face. “Apothecary Leng, this, in the end, what happened?” Su Zian saw Apothecary Leng’s displeased expression. He didn’t dare press him too much, otherwise, he might toss his sleeves and just leave. “Poisoned? How could he be poisoned? Why didn’t you discover it yesterday?” Su Zian anxiously asked. “No no no, Apothecary Leng, you misunderstand, I meant to say……” Su Zian was so anxious that his brows were beaded with sweat. Facing the continent’s renowned Apothecary Leng, Su Zian could only feel his heart go weak. Very naturally, he would act meek and subservient. Su Zian’s eyes widened until it become huge! What? Yesterday, after Apothecary Leng had left, Su Jingyu was then poisoned by someone? This was impossible! “How could I dare, how would I dare……” Su Zian’s forehead was full of sweat, if he really angered Apothecary Leng to the point of him leaving, then Su Jingyu would truly lose his life. Because, if other people were to find out that, due to doubting Apothecary Leng’s medical expertise, he then tossed his sleeves and left Su Manor in anger, which other apothecary would dare take over ah? While Su Zian spoke, he also pulled at Su Xi who was standing on the side. Su Xi, being pulled like this by her dad, nearly fell down on the spot. She was very puzzled, her pair of eyes staring blankly at her father. His words were useless, but Apothecary Leng cared so much about Xi’er, this ought to be more useful. Apothecary Leng nevertheless frowned, flung his sleeves and coldly snorted. Randomly calling a girl over to thank to him? What did this mean? It was as Su girl had said, Su Zian, this man’s, sincerity was unreliable! Su Zian immediately became stupefied. “Celestial Spirit Water? !” Su Zian nearly jumped up. Their Su Manor has Celestial Spirit Water, more accurate to say, they had it before. However, what made his heart ache was that, the Celestial Spirit Water inside the manor was stolen. “Great Master, where can Celestial Spirit Water be found? No matter the price, we must cure Jingyu. I only have this one son!” Su Zian was extremely anxious. “Jade Lake’s Li family?” Su Zian slowly said this word by word. Su Zian irritably walked back and forth inside the room. Jingyu’s injury was originally from an evil scheme by the Jade Lake’s Li family, the purpose was to draw Su Luo to go apologize and beg for forgiveness. However, Su Manor unexpectedly was able to invite Apothecary Leng to come, and was able to cure Jingyu. However, in less than one night’s time, Jingyu was poisoned again. “This poison……” was clearly done by the Jade Lake’s Li Family! The purpose was to force Su Luo to go apologize and beg for forgiveness! Su Zian was not an idiot, on the contrary, he was very shrewd. Otherwise, he wouldn’t have been able to climb to the position of the Great General that protect the nation at his age. “Apothecary Leng, aside from this, is there really no other place where we can find Celestial Spirit Water?” Su Zian asked, full of expectation. Hearing what was said, Su Zian’s complexion was full of disappointment. Since this disaster was caused by Su Luo, then she ought to a.s.sume all the responsibility. Zi Xi accepted the order and left. However, with his strength, he was not able to bring Su Luo over. Rather, he had to use the polite word ‘invite’. Su Luo had long ago become aware of the twists and turns of the current situation. But she could not avoid this matter, therefore, she also brought Lu Luo and came over. Su Zian’s face was gloomy and cold, his pair of eyes fiercely glaring at Su Luo. A strong aura was sent to suppress Su Luo. However, nowadays, Su Zian’s strength was already not strong enough of a deterrence force for Su Luo. As a result, she stood there, calm and collected as before, her complexion as calm as water, her appearance showing no difference. Su Zian’s heart was somewhat fl.u.s.tered. Originally, he wanted to show off his strength, however, it was not the least bit useful. Su Luo obediently walked over. Su Luo’s forehead knotted slightly. According to the information she had learned, Su Jingyu was clearly poisoned by Madam Su. Su Luo’s eyes looked towards Madam Su. Coming in contact with Su Luo’s gaze, Madam Su’s heart suddenly shook, feeling as if she had been seen through. 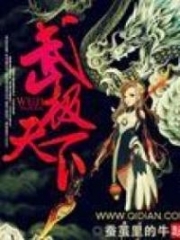 You're reading novel The Demonic King Chases His Wife: The Rebellious Good-for-Nothing Miss Chapter 660-661 online at LightNovelFree.com. You can use the follow function to bookmark your favorite novel ( Only for registered users ). If you find any errors ( broken links, can't load photos, etc.. ), Please let us know so we can fix it as soon as possible. And when you start a conversation or debate about a certain topic with other people, please do not offend them just because you don't like their opinions. You're reading The Demonic King Chases His Wife: The Rebellious Good-for-Nothing Miss Chapter 660-661. This novel has been translated by Updating. Author: Su Xiao Nuan,苏小暖 already has 11628 views. Current Time is Apr-21-2019 02:20:21 AM.